This is the 1st Upminster group badge. This badge shows the group to which you belong. 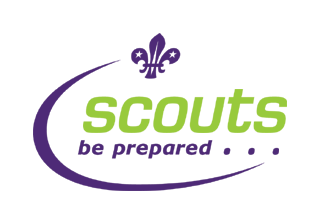 This is the sign which is used in England to advertise Scouting. This is the district badge because we are part of the Hornchurch district. This is the county badge of Greater London North East which we are also a part of.